Philadelphia is the largest city in the Commonwealth of Pennsylvania, and the 6th most populous in the United States over all. As of 2007, the city had an estimated population of 1,448,394, with a total of more than 5.8 million living in the metropolitan area. Philadelphia is home to many historic landmarks, including Independence Hall where the Declaration of Independence was signed, and the Liberty Bell (which is located in the Liberty Bell Center in the Independence National Historical Park). The city also contains the homes of Betsy Ross who made the first United States flag, and of the author Edgar Allan Poe. Winner of a 2015 Book-of-the-Year award from the Society of American Travel Writers Eastern Chapter. * Learn the shocking story of Benjamin Franklin's electric turkey experiment. * Tour the sight of the first bank robbery in America in 1798, and learn how the hapless criminal was captured when he deposited the pilfered funds back into the very same bank. * Read about the unsung Quaker woman who saved George Washington's army from destruction. Easy to follow maps break the trail into segments. It also includes suggested side trips to area attractions such as Valley Forge and Fort Mifflin. Complete with lodging, dining, family-friendly options, and practical travel information, Philadelphia Liberty Trail immerses visitors in history right where it happened. See Philadelphia Like a Local with Moon Travel Guides! As America's first UNESCO World Heritage City, Philadelphia's well-preserved homes and historic churches mingle with modern skyscrapers, restaurants, and galleries. Explore the timeless City of Brotherly Love with Moon Philadelphia! With Moon Philadelphia's practical tips, myriad activities, and an insider's view on the best things to do and see, you can plan your trip your way. Exploring more of the state? Try Moon Pittsburgh or Moon Pennsylvania. Frommer's Philadelphia Day-by-Day Guide is the complete up-to-date reference for visitors who want to maximize their stay in the smartest, most time-efficient way. With full-color throughout with hundreds of evocative photos, this invaluable guide offers reviews on a wide array of sightseeing, lodging, shopping, dining and entertainment options in all price ranges, and also includes thematic and walking tours of the city's best-loved neighborhoods with Frommer's trademark candid and accessible expertise. Discover the best Philadelphia has to offer in just a few days. If you are planning to go to Philadelphia for a short holiday or business, and you only have 2 or 3 days and you want to make the best of your short stay, then you have come to the right place. The focus of this book is to make your short stay one of the best experiences of your life. The goal of this book is not to squeeze everything Philadelphia has to offer into 2 or 3 days. The goal is to show you the best of Philadelphia in a short time. 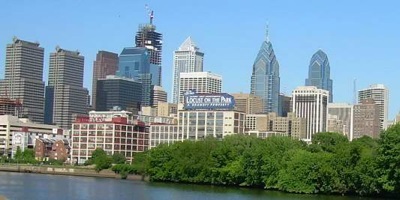 Philadelphia is one of the iconic cities of the United States. It is the birthplace of the United States of America and is a city filled with a rich history. If you are looking for the encyclopedia of travel books, then don't buy this book. This book is for the short stay traveler only! We focus on the best the city has to offer.